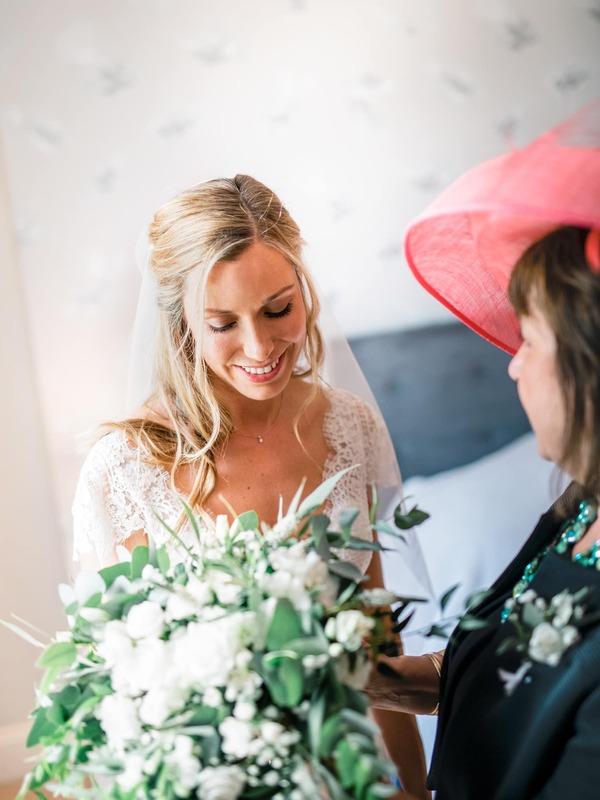 Beautiful bride Olivia in our "barely there" veil - Sia! 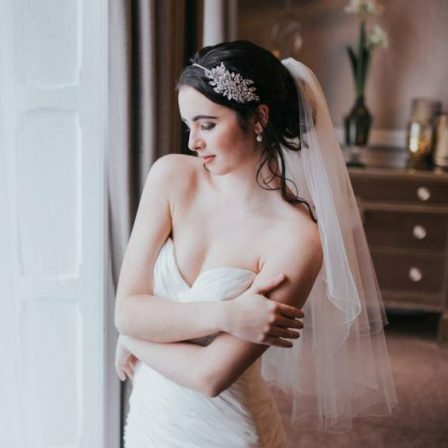 Our ``barely there`` veil Sia on gorgeous real bride Olivia. 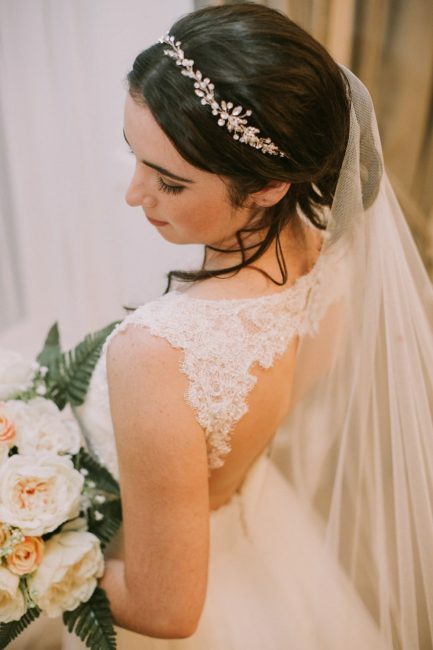 We have one of our stunningly beautiful real brides to share with you today wearing our “barely there” veil, Sia. 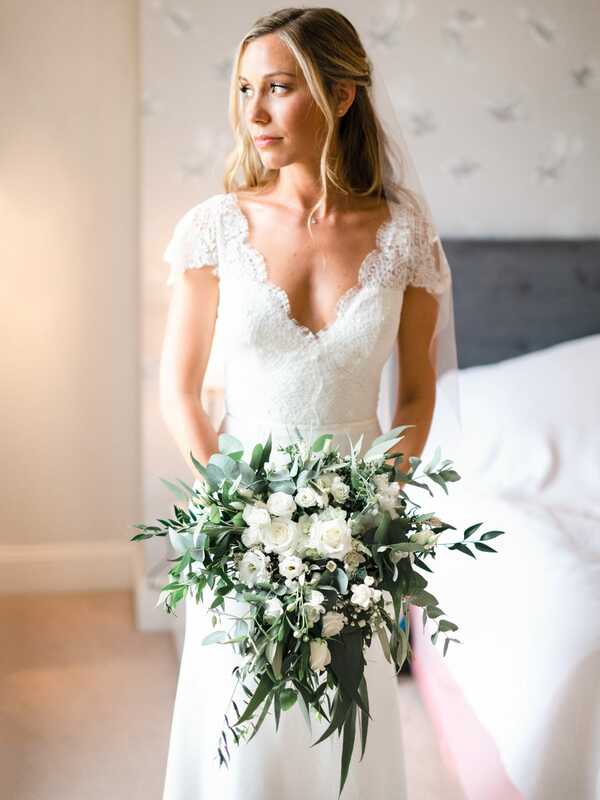 Our gorgeous bride Olivia looks like feminine perfection in her Stephanie Allin gown, doesn’t she? Her whole look is so soft and pretty. 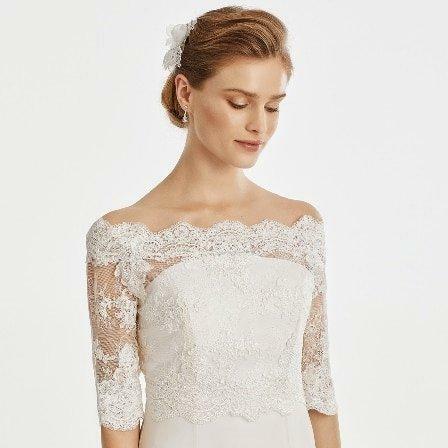 I absolutely love the lace sleeves and the deep neckline. It gives it a kind of feminine boho vibe. Thankfully, for today’s brides, these dresses are around, although still not in abundance. You need to find the right brand, the right designer who specialises in this look. And judging by Stephanie’s website, she is definitely one such designer. Also, these pictures… We actually fell in love with one of the images so much we bought the license to use it commercially on our website! 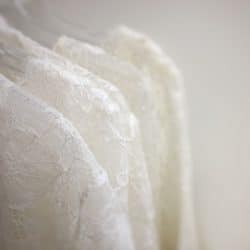 You may recognise it as the Custom Veil Designer’s main image. 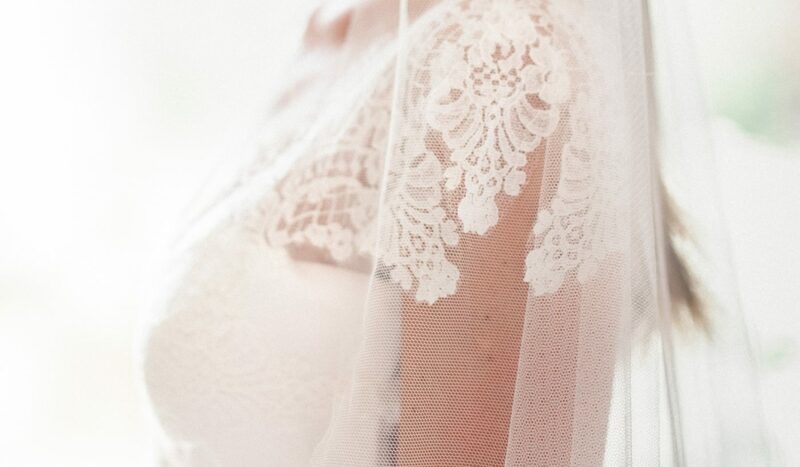 I strongly encourage you to check out the full album of photographs by Stephanie Swann Photography here: Stephanie Swann, but for now, we just wanted to share a few of the veil shots since they’re so very pretty! 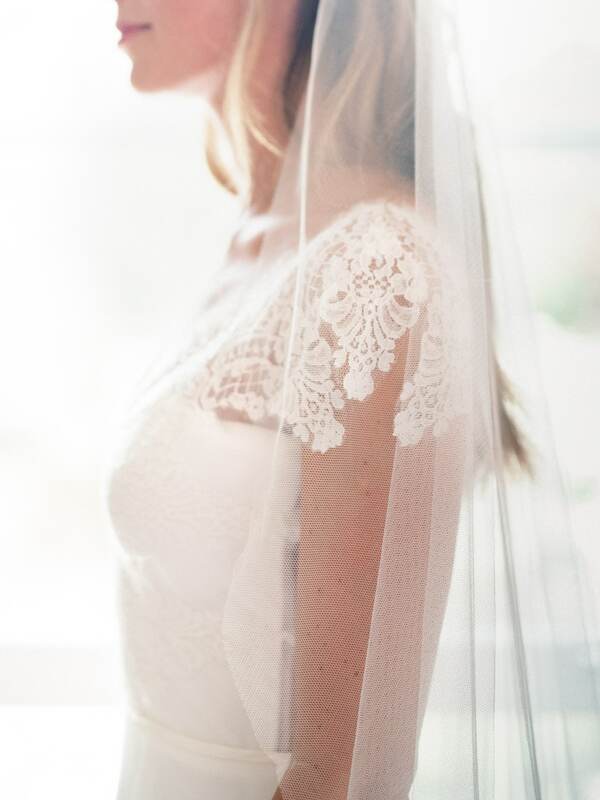 Now for more about our pretty Sia veil. 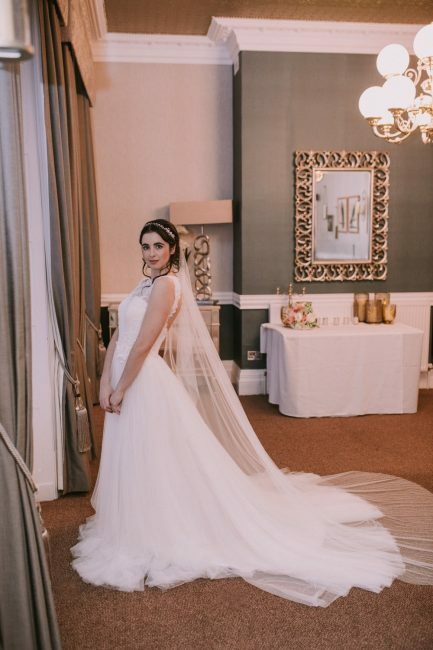 Sia is our beautiful waterfall cut veil, which has been designed to shape beautifully at the sides falling in a pretty cascading effect into the scoop of the bride’s back. 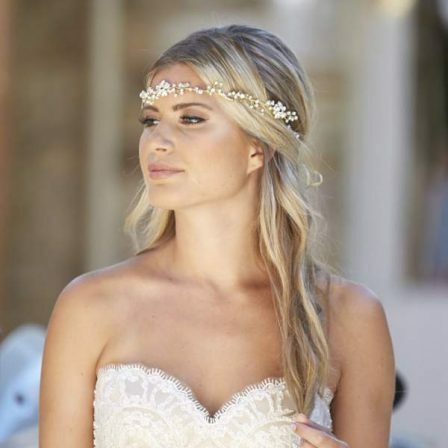 It really gives a soft and romantic bridal look. The gathering at the comb is what we call “barely there,” which means zero gather lines and minimal fabric so the hair can be seen easily. 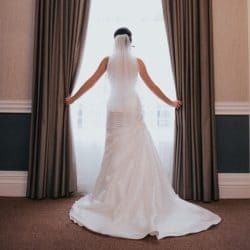 It’s also made from our “Silk Effect” tulle which is a slightly heavier draping tulle that feels super soft to the touch but hangs in a much heavier drop and in a slimmer shape than our traditional light and airy illusion tulle, which is just perfect for this type of gown. Finally, Sia is a chapel length veil, which is the most popular length of the three floor-trailing options: floor, chapel & cathedral. Find out even more about this veil by clicking on the image below to visit it’s product detail page.